Despite its snub at the Emmys, fans really dig the BBC America hit, "Orphan Black" and IDW Publishing paid attention. They just announced at Comic-Con that coming in 2015 is a new comic book series based on the show. Details were released yesterday via a press release from IDW and it revealed that not only will it not be cloning the show, it'll offer new story lines set in the show's world. Orphan Black, the acclaimed sci-fi series by Temple Street Productions, assumes a new identity in the form of a comic-book series from IDW Publishing. IDW’s series will not be a clone of the show but will feature some all-new stories set in the complex and thrilling world of Orphan Black. Orphan Black, which has just been renewed for a third season, centers on Sarah Manning, who after witnessing the suicide of a woman that appears to be her doppelgänger comes into the knowledge that this woman and indeed herself, are two of many biological clones. Sarah takes on the woman’s identity and uses her position as a police detective to uncover the mystery behind what she is and what that means. 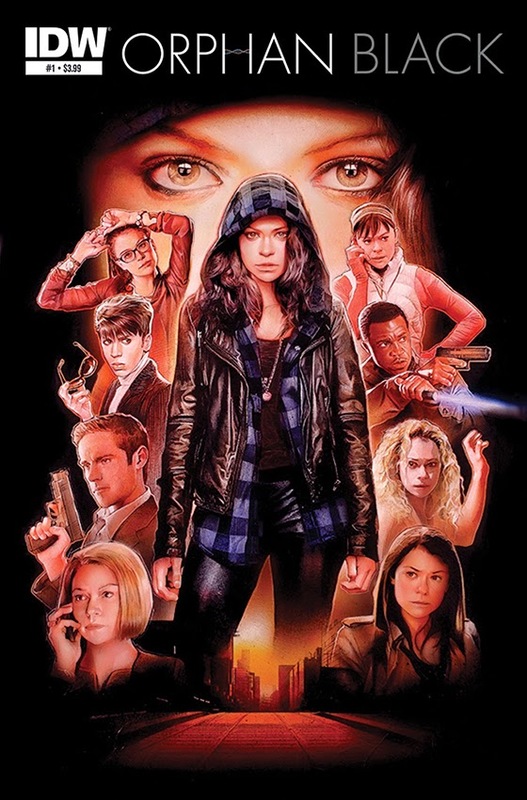 IDW Publishing is known for its authenticity and attention to detail when approaching licensed properties and Orphan Black is sure to be a comic book series a delight existing fans and make new ones. IDW will be working closely with the show’s producers to expand the Orphan Black world. The first cover image seen here is by artist Nick Runge. The full creative teams and series details will be announced soon, with the first comic-book series launching in early 2015. Striker Entertainment on behalf of Temple Street Productions brokered the deal. Earlier this month, "Orphan Black" was renewed for a third season and production is set to begin this September. The series will return in 2015.